The role of a parent is an important role and any parent would want to give their children a fantastic childhood. But being a parent is a tough and exhausting. From changing your babies’ diapers and dealing with their childish tantrums to keeping your teens out of trouble…parenting is a full-time job. Here are some practical parenting tips and hacks, which would make parenting life a little bit easier for you, and at the same time, more fun for your children. 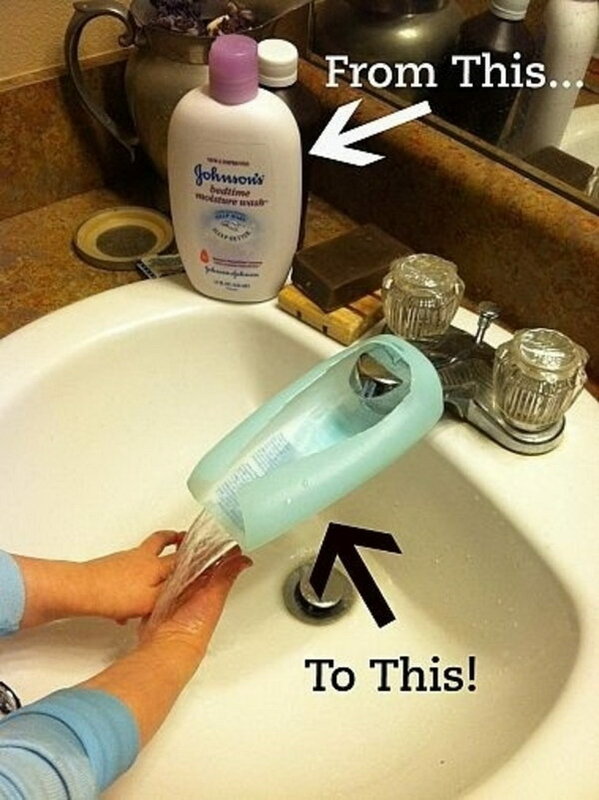 Cut open an throwing away lotion bottle to make a faucet extender so small hands can reach the water easily. 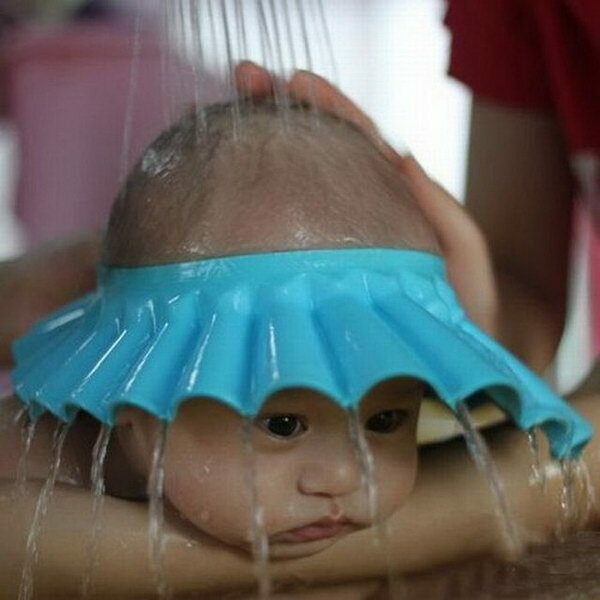 Make bath time tear-free and more enjoyful with this creative toddle shower cap for your babies. via fancy. Hate washing legos, but they get totally yucky dirty! 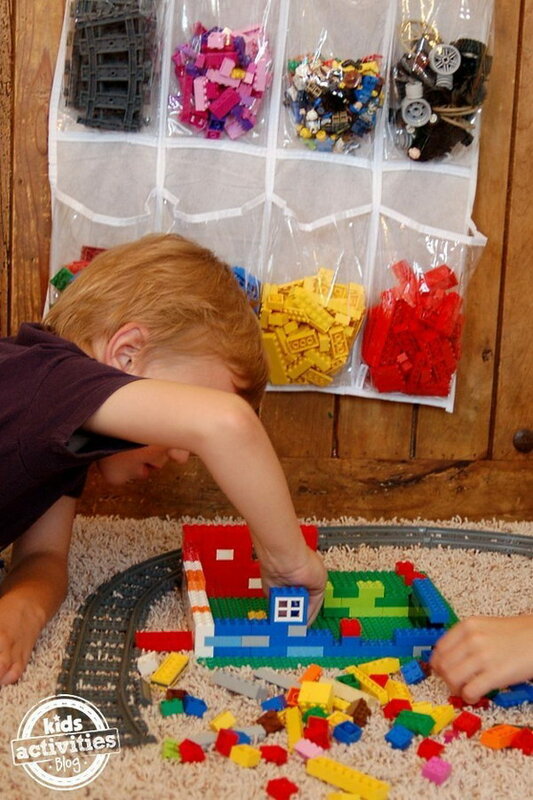 This will make cleaning them super easy with a mesh bag! via gettinby. You can buy a cheap shower caddy as a food holder in the car for your kids to keep food from getting spilled all over your car. Besides, this organizer has three compartments so everything has a place for your convenience. 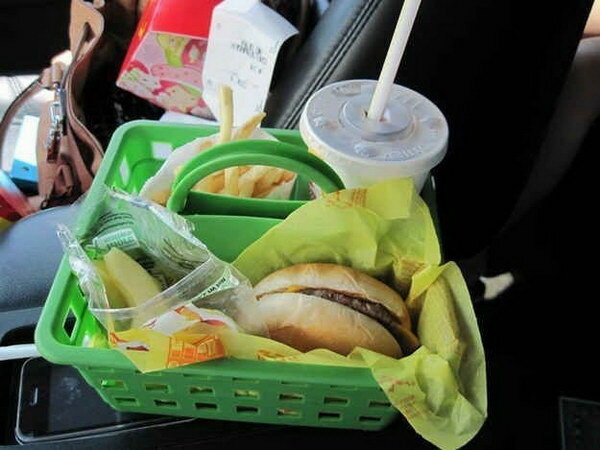 Keep your kids from making a mess on fast-food runs with this dollar-store staple. source. 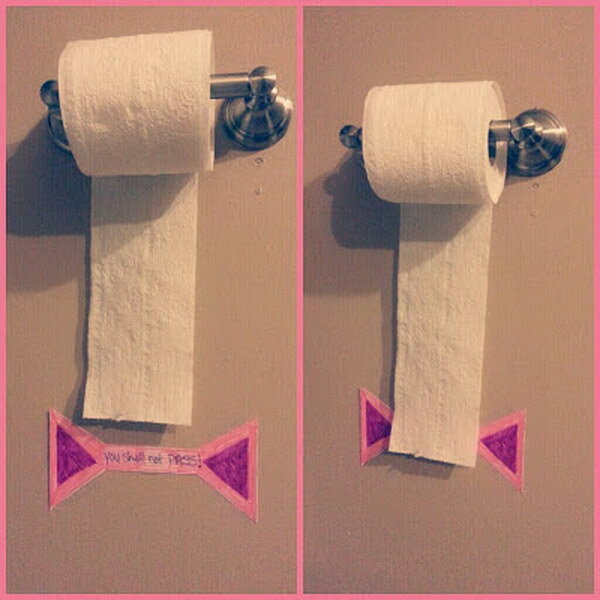 This is a great idea to tell how much tissue paper these kids can use one time! Give it a try with your kids! via amandathevirtuouswife. 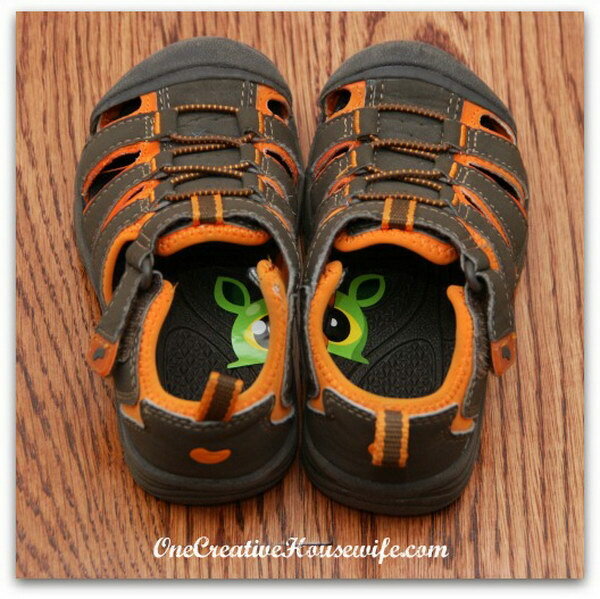 Cut a sticker in half and put them in your toddles’ shoes so that they would not walk out of the house with his shoes on the wrong feet! via onecreativehousewife. 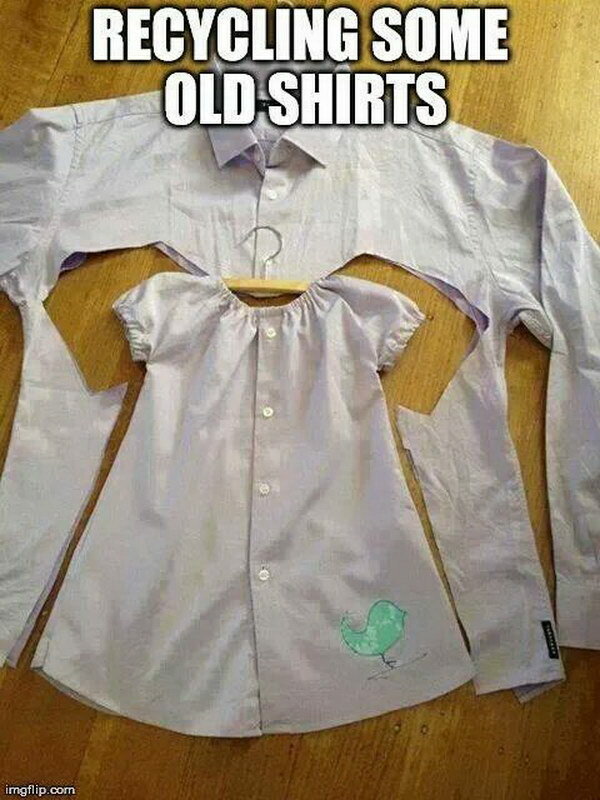 Stains on baby clothes are often not so easy to clean. 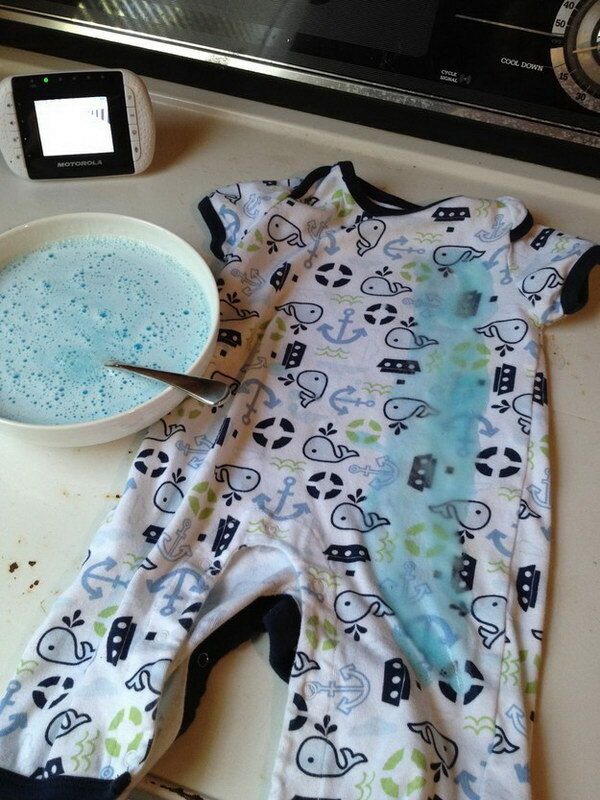 Here is a great homemade cleaner recipe for even the nastiest stains out of baby clothes. Learn about the recipes via mylifeinpink. 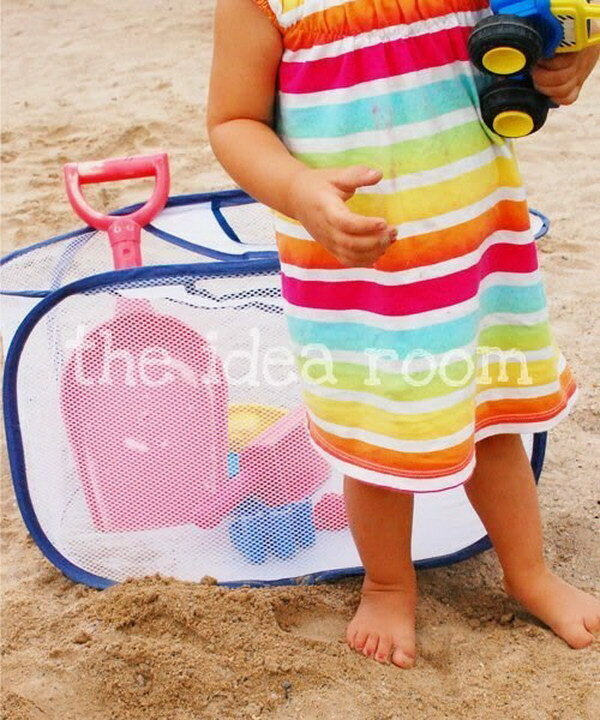 Pack individual outfits in sealable plastic bags when going on trips. So you would not forget anything and they also get dressed faster. 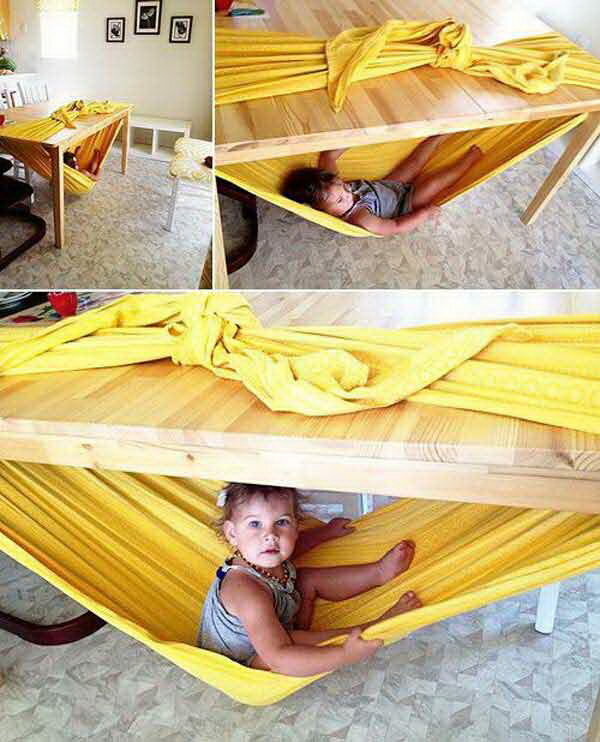 Make a safe, indoor hammock with a table and a bed sheet. via joyfulabode. 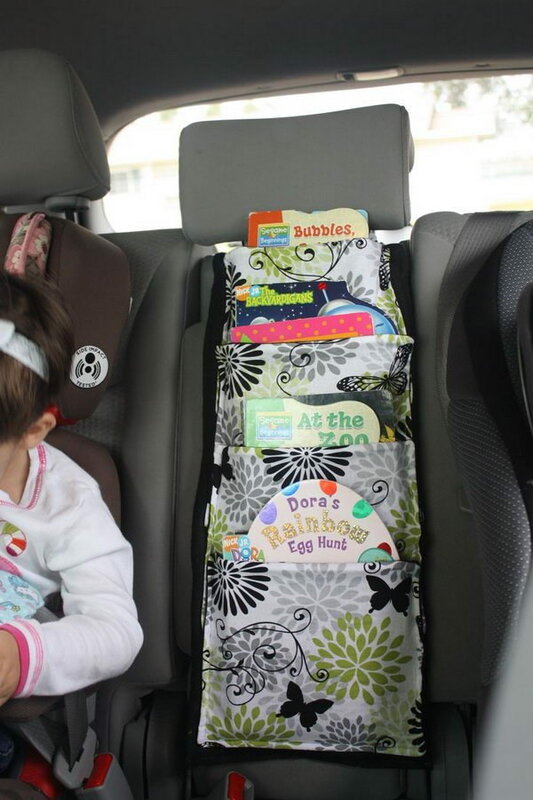 Make some cloth bags, and then attach them on the back of the seat in your car as a book holder for your kids’ reading on the travel. via kimboscrafts. 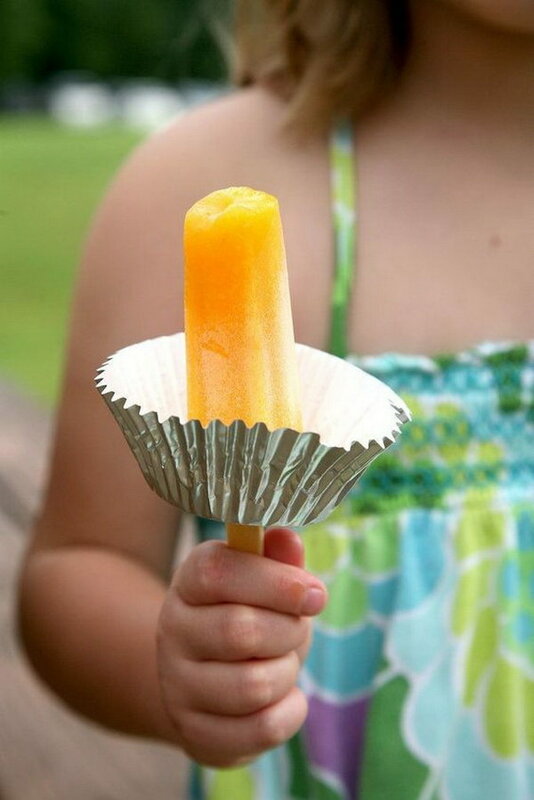 Use a muffin cup to protect their hands from sticky drippings. 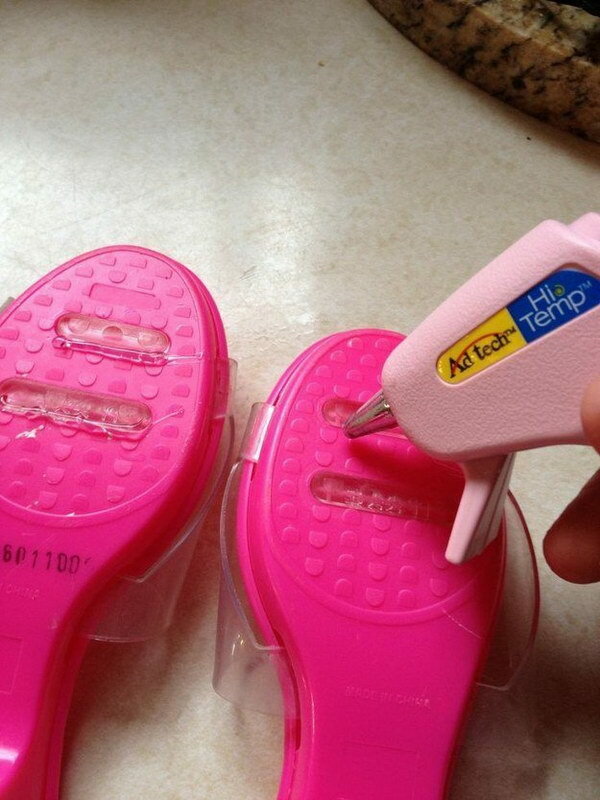 Use a glue gun on the bottom of slippery shoes to prevent your child from slipping. via facebook. 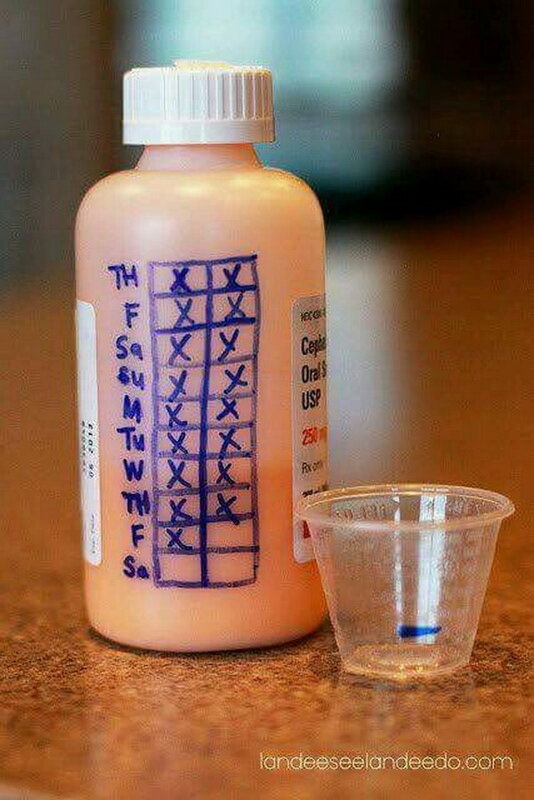 Makes it easier to remember what day your on abs the dose when the kids are on a long round of antibiotics. via landeeseelandeedo. 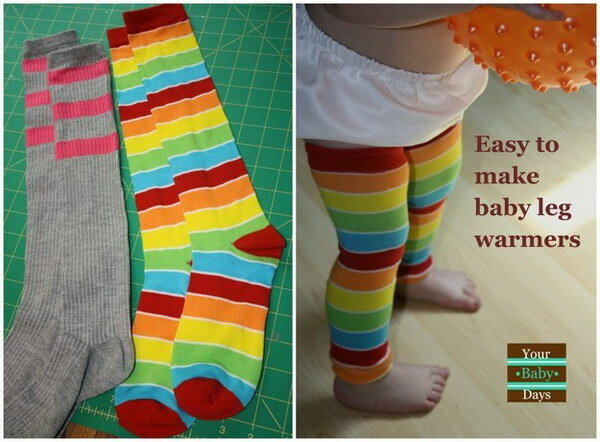 Turn tube socks into super-cute baby leg warmers. 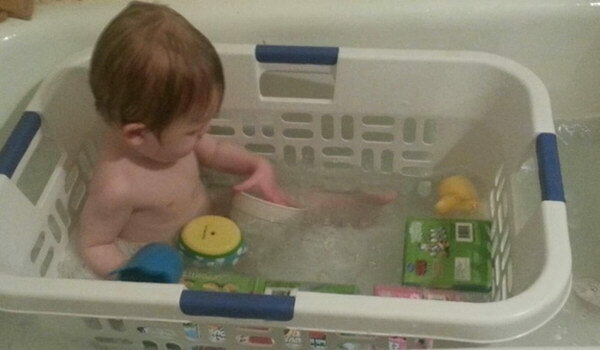 See how to make it via yourbabydays. 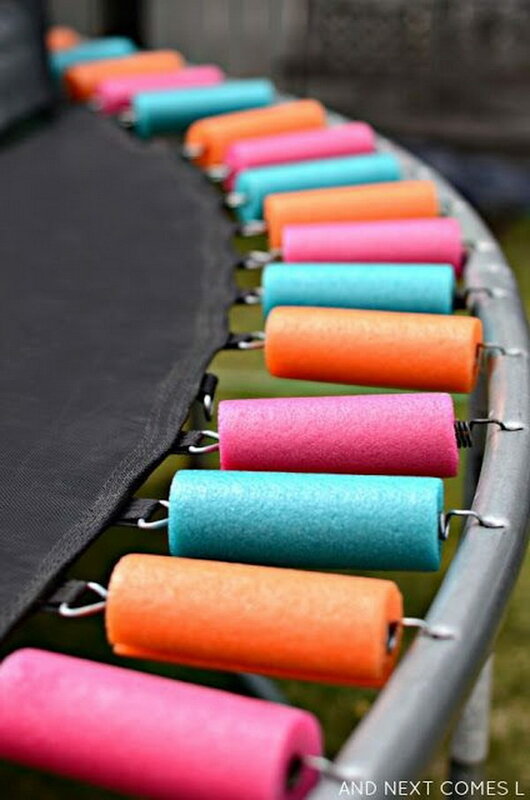 Use pool noodles to cover springs for the trampoline. via andnextcomesl. 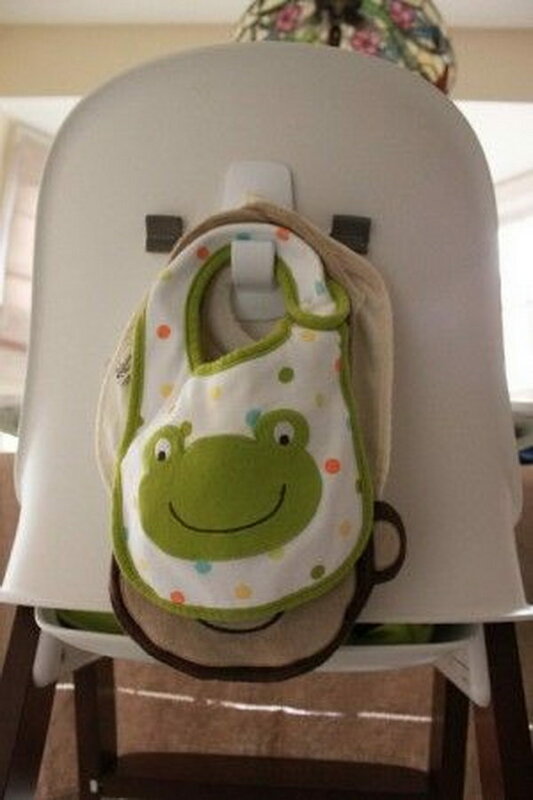 Put a command hook on the back of your baby’s high chair so you never misplace a bib again! A good place to store bibs! 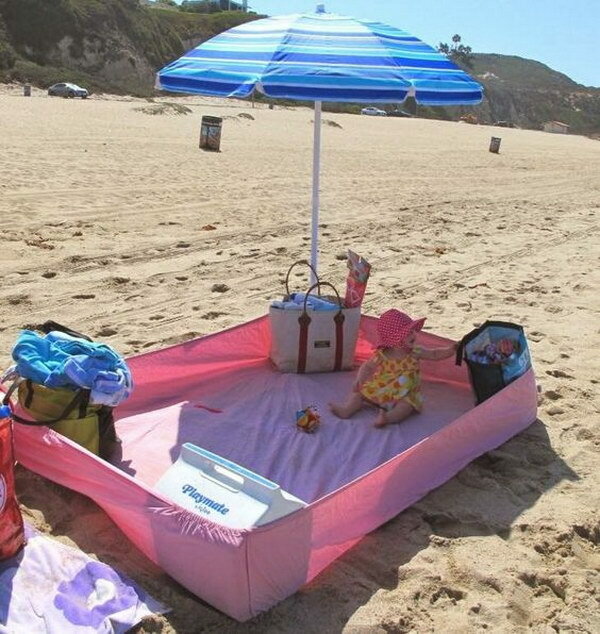 Use a fitted sheet to keep the sand at bay and baby happy! teamjohnson1. 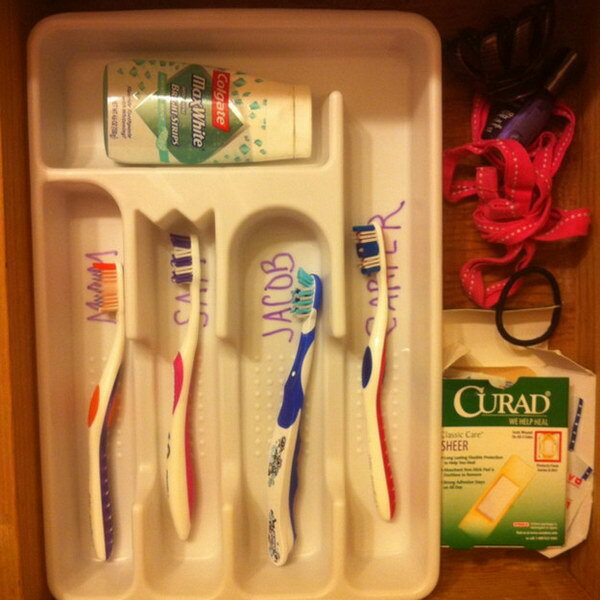 A utensil tray can be a genius dollar store find to keep your kids’ toothbrushes organized. via familiesthatstick. 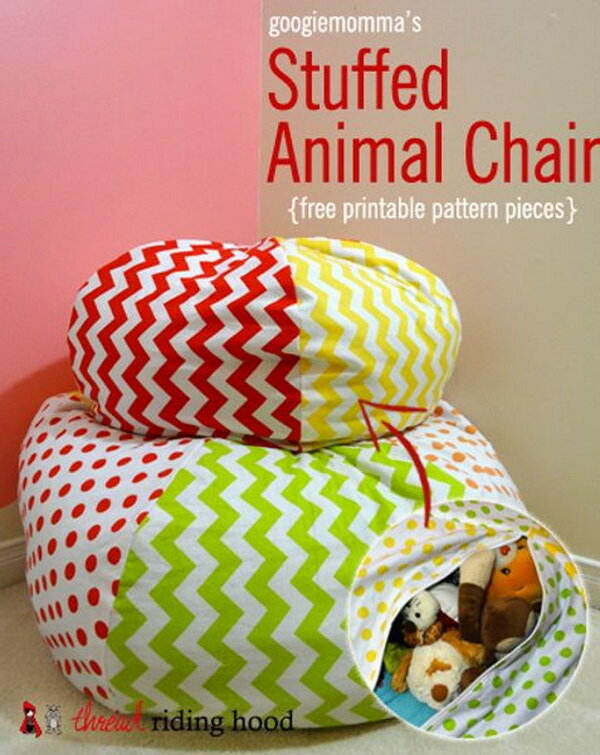 Love this idea to store stuffed animals in a cheap bean bag cover, it can also be used as a comfortable seat! via amazon. 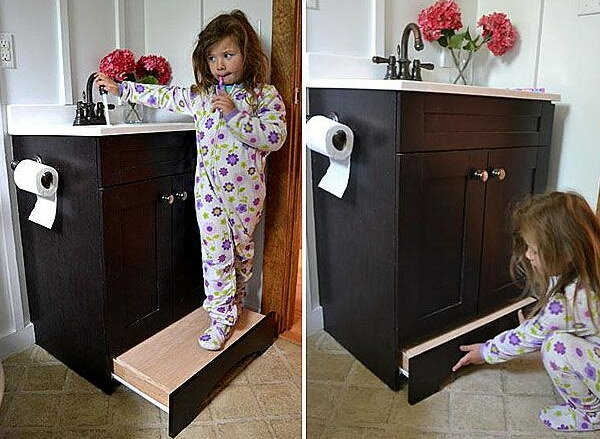 Instead of using footstools which take up too much room and always get in the way, convert the toe kick under your cabinet into a vanity step. via ana-white. 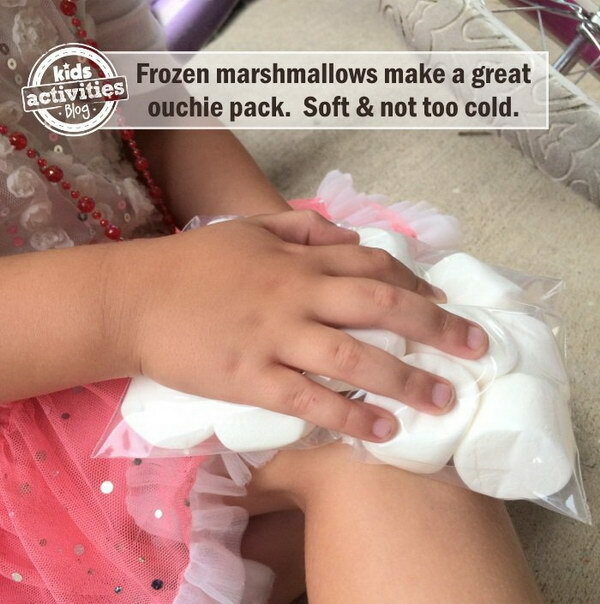 Frozen marshmallows are lightweight, don’t hold too much cold, and make the perfect ouchie pads for little ones. 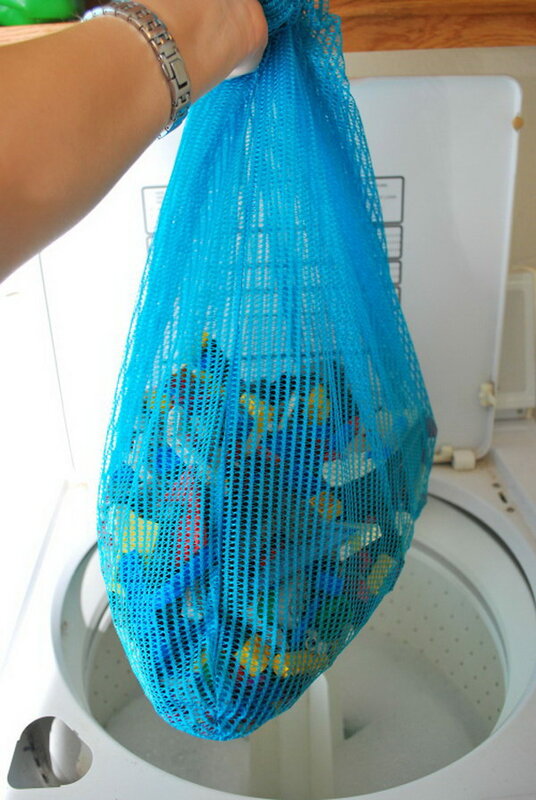 A creative way to store sand toys at the beach with a mesh laundry bag and never drag home a bunch of sand at the end of the day. via theidearoom.